Click the button below to generate a new card number. Perform an act of kindness and pass along your new number with the information. 1. Save your card number. 3. 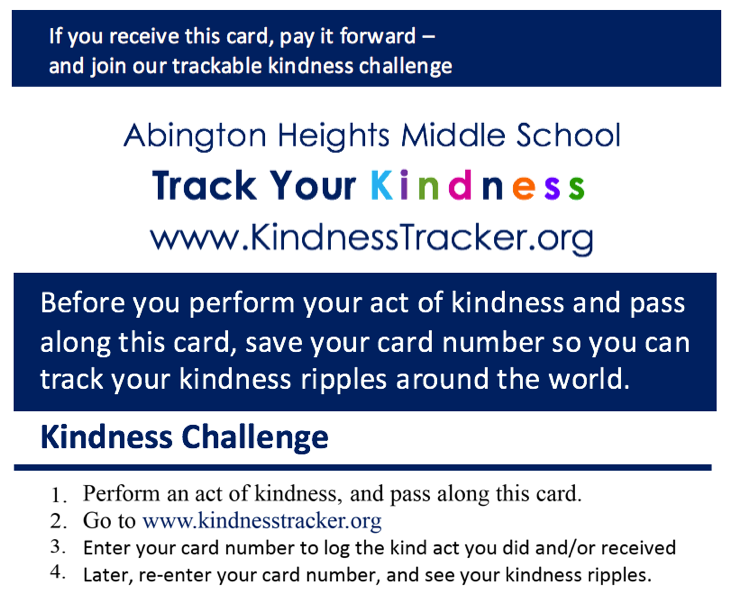 Enter your card number to log the kind act you did and/or received. 4. Pay it forward and pass along this card/information.